The Original is 24 x 20″, oil on canvas. These poppies grow in my backyard in my perennial beds. 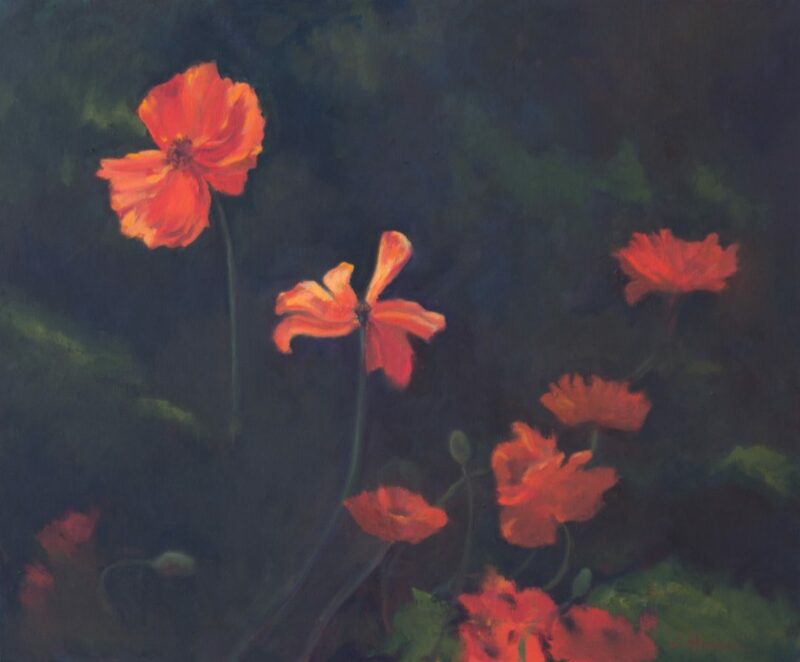 The fence on the south side acts as a dark backdrop in shadow, allowing these poppies to radiate their beautiful cadmium color in the sunlight silouetted. Original SOLD.